I feel like I've been MIA. It hasn't necessarily been years since my last blog post or anything, but I feel like I've been MIA from normal life. The reason? We're building a fence. In our backyard. Since Friday afternoon. It has been ALL that we've done during daylight hours that we haven't been at work. I could write an essay about everything that we've done and everything goes into building a fence, but I'll refrain. Let's just say that Eric and I are both over it. Last night I dreamt that we were in Ireland on our upcoming vacation, and we were building a fence there. Yeah, I know. Ridiculous. Buuuuut we're ALMOST done. We're seriously so close. In other news, I am obsessed with this maxi dress. If you are tall, I highly recommend it. I LOVE maxi dresses so much, ya'll. Comfy, easy to wear and they can be professional. Just throw on a blazer and a scarf and bam; work ready. so cute :) and that's hilarious about the fence. haha i can't wait to see it!! I agree! I'm convinced that I can wear this maxi with anything and pretty much in any situation. I am so glad I picked it up! I wish I looked this cute in a maxi! So cute Ashley! great maxi! Love the stripes with the pops of color! ew, building a fence does not sound like much fun at allll! I love this! Maxis are my favorite for teaching... So comfortable! oh my word i did NOT think that so much work went into building a fence! i literally laughed out loud when you dreamed you were building it in Ireland too hahah now THAT'S intense. And by the way- going to Ireland?! Have you ever been before? That's definitely on my bucketlist-those rolling hills look like dreams. 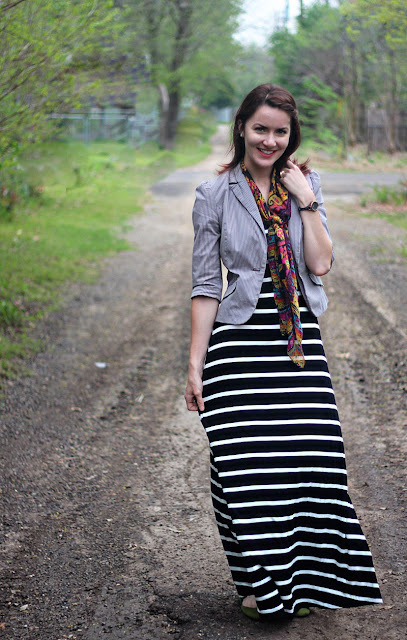 i love your maxi dress, especially with your printed scarf! i have got me wanting to bust out my maxi dresses now!! This dress is fantastic!!!! I.NEED.IT!!! I may need to run there soon and pick one up!! I cannot wait to see your hard work pay off!!! I think the horizontal stripes really are flattering - I was so surprised when I tried the dress on! Haha, you're so right - it would totally be worth it to go to Ireland even if you did have to build a fence! This post makes me smile, since for me, building a fence or doing any type of construction in our home is HUGE to me...These photos are beautiful! You look stunning! 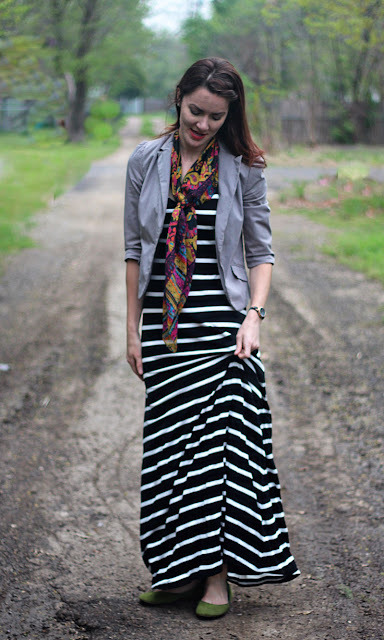 I am loving this Week's Maxi Dress just as much as last week's Stripey Dress if not more. I say Maxi Dresses look good on most girls, even petite ones. I am normal height at 5.7 and love them. And you are right they look FAB with a Blazer & a Scarf. Those Flats are too cute, also. 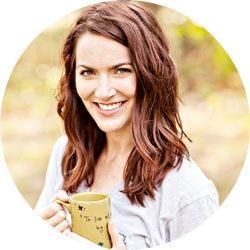 And Ashley, I made two announcements in my blog & would love for you to participate in both. =) As you know I adore your style. You always look so Chic & Put-Together. I am doing a Blog Birthday Party where I am inviting some of My Favorite Bloggers & anyone who follows me to participate. All you gotta do is style an Outfit for my Birthday & EMail it to me by May 2nd. My Birthday is on the 4th & I will run the post with everyone's outfit on the 5th. Make My Day & Participate, I hope to get your E-Mailed outfit. Thanks. Your birthday party sounds like a lot of fun Ada! I'll see if I can get something together, but no promises because it takes me forever to put together a blog post anyway, haha! Gorgeous shots! That maxi makes you look so long and lean! This is such a simple pretty totally wearable look. Oh the joys of home improvement : ) I will take shopping any day over home improvement projects. Oooh love that idea! I was actually thinking I might be able to wear it on an upcoming trip to Europe! Oh man, thanks so much Jayda! I love your cute outfit! Fence building (well, any building) sounds ROUGH but I know it will be worth it for you. That maxi is so cute! Oh man - what a compliment! Thanks Sarah! You look awesome in this maxi dress! Aren't maxis so comfy? Maxi skirts and dresses are so versatile! I like his you styled yours to look professional! They are the best! It literally feels like you are wearing a giant nightgown, but somehow looks professional! Haha - that's literally exactly when I wear mine - when I haven't shaved! 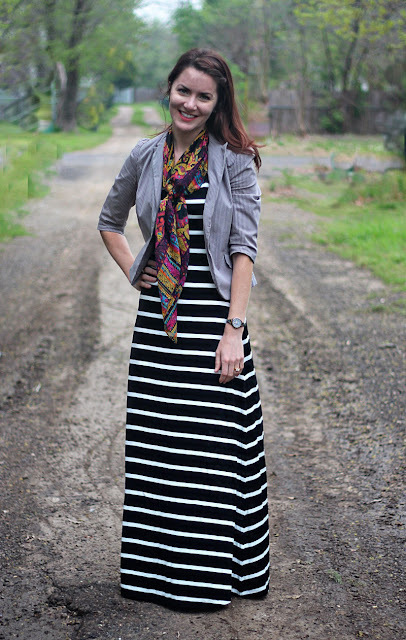 Love the stripes with the paisley scarf! Such a great combination!